Our undergraduate programs are designed to train computer scientists, information technologists, and software engineers for productive, life-long careers. Such education equips students with a sound knowledge of the foundations of computer science, and problem solving and system design skills necessary for designing and building robust, efficient, reliable, scalable, and flexible software systems. The department offers strong undergraduate programs leading to a B.S. in Computer Science and a B.S. in Software Engineering. 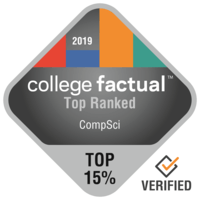 We also are one of the three departments jointly administering the Bioinformatics and Computational Biology undergraduate program. The goal of our graduate program is to provide research-based training leading to M.S. and Ph.D. degrees in Computer Science. Our department also plays a pivotal role in interdepartmental graduate majors and minors in Bioinformatics and Computational Biology, Information Assurance, Human-Computer Interaction, and Neuroscience. Our department is committed to strong research programs in Computer Science and emerging data-rich and informatics-enabled disciplines, contributing to those fundamental advances needed to address challenges in environment, food, health, energy, and security, and increasing the competitiveness of Iowa and the nation. Our faculty, staff, and students contribute to the community at large in a number of ways such as engaging in technology transfer, contributing to open source software projects, partnering with Iowa K-12 teachers and students, broadening participation of underrepresented groups in STEM disciplines, and advising industry, government, and non-profit groups.